Entering today, we knew Mike White would have three scholarship spots to fill on his basketball team. Now it might be four. Forward Deaundrae Ballard has entered his name into the transfer portal, and will look to play the duration of his career elsewhere. The news was first reported by 247Sports. Do note that merely entering the transfer portal does not necessarily constitute an automatic departure, but given that Florida saw two underclassmen declare their intentions to transfer yesterday, it’s not totally unfathomable that White is facilitating a massive facelift for his program. Rumors are that White plans to recruit that portal pretty hard. 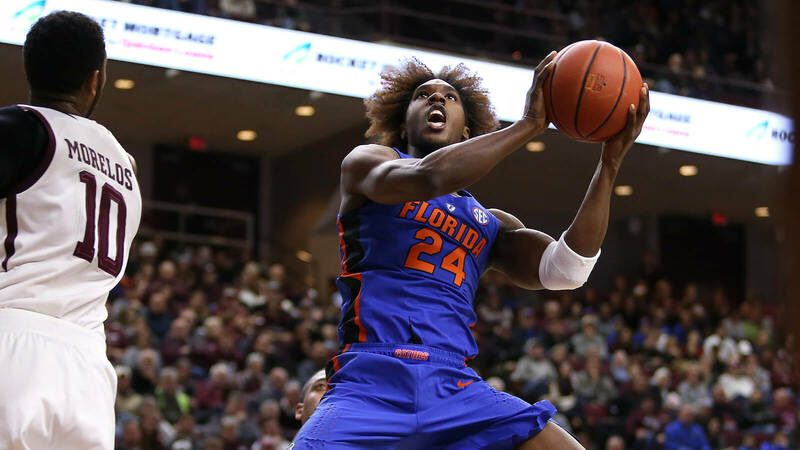 In any case, in Ballard, Florida would be losing some size, but that size struggled to see the floor toward the end of the season, logging six minutes in the last four games combined. On the whole, he averaged less than five points in both his freshman and sophomore years along with 1.7 rebounds per game in both years. So it would not exactly be a devastating loss. Hopefully, if he does leave, he finds success elsewhere, and as always I wish him the best.